We are pleased to greet Frank from Germany who decided to take the long weekend off for travelling to Greece while undergoing his AFF beginner course. 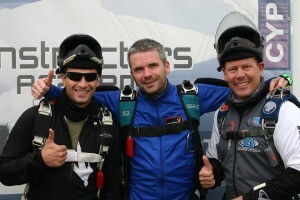 Frank started off with his needed theory class before heading for the sky with instructors Julian and Marcus on his sides. We wish him the best experience ever and best of luck with his AFF course.